평지의 낮은 구릉을 이용하여 쌓은 삼국시대의 성곽이다. 높이는 일정치 않으나 4m정도이며, 둘레는 약 1.3㎞이다. 성벽의 아랫부분에서 초기철기시대의 조개더미와 각종 유물이 발견된 것으로 보아, 이 지방의 중심세력이 성장하여 초기적 국가 형태를 이루면서 쌓은 것으로 생각된다. 또한 경주의 월성처럼 평지에 낮은 구릉을 이용하여 쌓은 것이 특징이다. 따라서 달성은 우리나라 남부지방에서 초기 성곽의 전형으로 평가되고 있다. 성벽은 주로 흙으로 쌓았고, 성벽 윗부분에는 큰 돌덩어리들이 군데군데 드러나 있어 후대에 수리한 것으로 보인다. 성안에는 조선시대 전기까지 군대의 창고가 있었고 우물과 연못이 있었다고 한다. 성의 서남쪽으로 연결된 구릉지대에는 돌방무덤(석실분)이 많이 흩어져 있고, 무덤에서 금동관을 비롯한 유물이 발견되었다. 대구 달성은 우리나라 성곽 발달사에 있어 가장 이른 시기의 형식이라는 점에서 그 의미가 크다. The wall was built in the Three Kingdoms Period (76 B.C.-A.D. 668) by using the hill. The evidence of shell heaps and the traces of wooden fortifications beneath the wall suggest that it has developed from a mud wall by an early tribe around their dwellings, and these remnants of a fortress wall date back to the Early Iron Age. 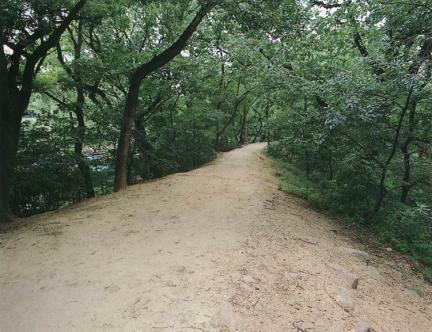 The wall was specially erected by taking advantage of the small hills like the Wolseong Fortress in Gyeongju. Thus, this fortress is evaluated as the typical model of the early wall in the southern area. The wall was mainly built with mud and was reinforced with stones later. 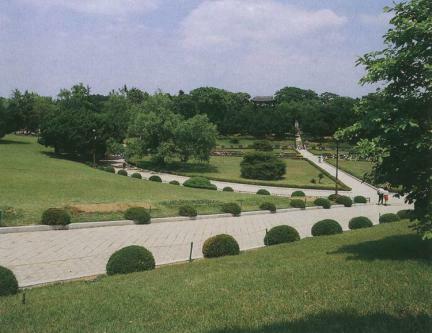 It is said that there were a warehouse, a well, and a pond until the early Joseon Dynasty (1392-1910). A number of stone chamber tombs – where the gilt bronze crown and other remains were unearthed – form the southwestern part of the wall. 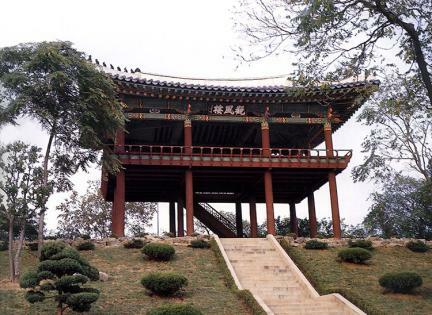 Dalseong Fortress in Daegu is an important source of knowledge as that it gives to the early form of the wall.